May is Huntington’s Disease Awareness month. Huntington’s Disease is a hereditary degenerative brain disorder that results in the progressive loss of mental faculties and physical control. Around 30,000 Americans have been diagnosed, and 200,000 have a 50/50 chance of developing it, though less than 10% of those at risk choose to take the available test. As of yet, there is no cure. Beautiful filmmaker, Marianna Palka, is 32 years old. Her father began showing signs of Huntington’s Disease when he was 33. She has a 50/50 chance of contracting the disease, and will find out her fate while in the health practioner’s office, surrounded by friends, during the documentary. Woodie Guthrie (July 14, 1912-October 3, 1967) was a folk singer and songwriter from Oklahoma, who also played guitar, harmonica, mandolin, and fiddle. He had been an inspiration to Bob Dylan and the “folk revivalists,” a group of young people in the late 1950’s and early 1960’s, who were introduced to folk through Pete Seeger, Ramblin’ Jack Elliott, his ex-wife Marjorie, and his son Arlo. Woodie Guthrie, suffered from Huntington’s Disease. He was increasingly unable to control his muscles, and was hospitalized at Greystone Park Psychiatric Hospital in Morris County, NJ from 1956 to 1961, Brooklyn State Hospital in East Flatbush until 1966, and, finally, at Creedmoor Psychiatric Center in Queens Village, NY until his death in 1967. The then 19-year-old Bob Dylan, who idolized Woodie Guthrie, had regularly gone to visit him at Greystone Park. Guthrie died of complications due to Huntington’s Disease on October 3, 1967. “The Lion’s Mouth Opens” airs on HBO on June 1st (9pm to 9:30pm ET/PT). The “7th Explorers Club Film Festival,” held at their New York City Headquarters, opened with a newly restored documentary by Captain John Noel from 1924. Produced by the British Film Institute (BFI), “The Epic of Everest” documents the official record of English mountaineers, George Herbert Leigh Mallory (June 18, 1886-June 9, 1924), and Andrew “Sandy” Irvine’s (April 8, 1902-June 8, 1924), 1924 British Mount Everest Expedition, which was the third British attempt to reach the peak of the world’s tallest mountain, Mount Everest (29,029 feet/8,848 meters). Make note, that George Mallory had taken part in all three of the expeditions, 1921, 1922 and, of course, the one which lead to his demise, 1924. 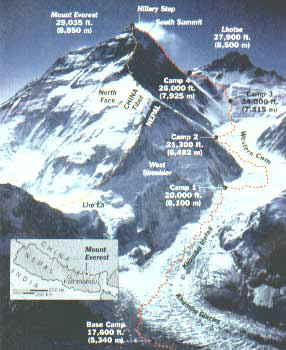 Although officially a non-climber, Director, Captain John Noel, ascended all the way to the North Col at 7000m, and filmed their activity higher up the mountain with long range cinematography, a powerful telescopic camera and time lapse shots, from Camp 3. Each frame lasts approximately 11 seconds, so the viewer really has time to focus on Everest’s magnitude from different angles, the temples steeped into its hillsides, the scenery, the explorers, their light clothing, army styled tents, lack of oxygen tanks, cartographers, shepherds, local women churning butter, unique headresses, instruments, native dances, yaks, and donkeys. Nepal sits where the Indo-Australian plate is pushing itself beneath the Eurasian plate. Located in the Himalayan mountains on the border between Nepal and Tibet, 700 to 1,000 or more people were on Mount Everest during the April 25, 2015, 7.8 earthquake which triggered several large avalanches. 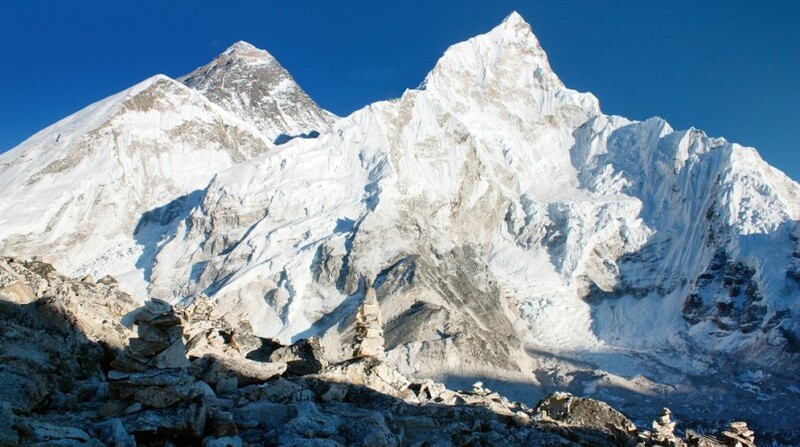 Tibetan natives call Mount Everest, Chomolungma, meaning “Goddess Mother of Mountain,” and it goes to show that even with all of our modern luxuries, Northface gear, GPS, and oxygen, we still can not fool Mother Nature. The closing night of the “Explorers Club Film Festival,” May 16, 2015, ended with a screening of George Butler and Caroline Alexander’s documentary, “Tiger Tiger,” about the threatened kingdom of the Royal Bengal Tiger of the Sundarbans at the southernmost edge of the Bengal Delta. The film will be out on IMAX in a few weeks for all to see. You are currently viewing the archives for May, 2015 at One World Cinema.